Two-thirds of the planet’s population will live in cities by 2050 and the growth will be concentrated in India, China and Nigeria, according to United Nations estimates. The 68 per cent projection is up from 55 per cent at present, with the UN population division also forecasting that the world's rural population will peak and then decline by 2050. Tokyo is the world’s largest city with 37 million people, according to the 2018 Revision of World Urbanization Prospects, followed by Delhi with 29 million and Shanghai, in third spot, with 26 million residents. The report, which reveals key trends in urbanisation, anticipates Delhi will surpass Tokyo in population size by 2028. The UN Department of Economic and Social Affairs says the boom in growth will be concentrated three countries, India, China and Nigeria which account for 35 per cent of the world’s projected urban population between 2018 and 2050. By 2050, India is estimated to have an additional 416 million urban dwellers, China 255 million and Nigeria 189 million. Related reading: Urban Renewal in Australia, What’s Next? In 2018, there are 33 megacities. By 2030 it’s anticipated the world will have 43 of them, with more than 10 million inhabitants, and the majority of them in developing regions. However, some of the fastest-growing urban centres are cities with less than one million residents, many of them located in Asia and Africa. The report calls for future urban growth policies to necessitate access to infrastructure and social services, focusing on the needs of the urban poor and vulnerable groups for housing, education, health care, and decent employment. Related reading: What Are the World's Most Expensive Cities? Managing urban growth to ensure sustainability is an important development challenge, John Wilmoth, director of the Population Division, said at a U.N. news conference. “When urban growth is rapid, insuring access to housing, water, sanitation, electricity, public transport, education and health care for all is especially challenging,” he said. The world’s urban population has rapidly grown from 751 million in the year 1950 to 4.2 billion this year. Countries such as Japan, Korea and several cities Eastern European countries such as Poland, Romania, the Russian Federation and Ukraine have experienced population decline between 2000 and 2018. Globally, fewer cities are projected to see their populations decline. 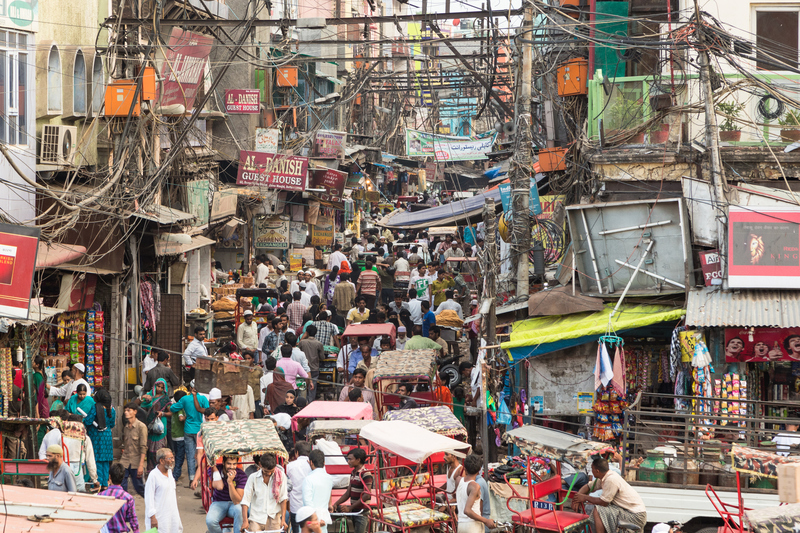 Main image: A crowded Delhi street. The UN projects Delhi will overtake Tokyo in top spot by around 2028.